A small home needn't mean small storage space. An unused nook or cranny here and there is just begging for your belongings. Maximize your storage by capitalizing on your home's existing space. 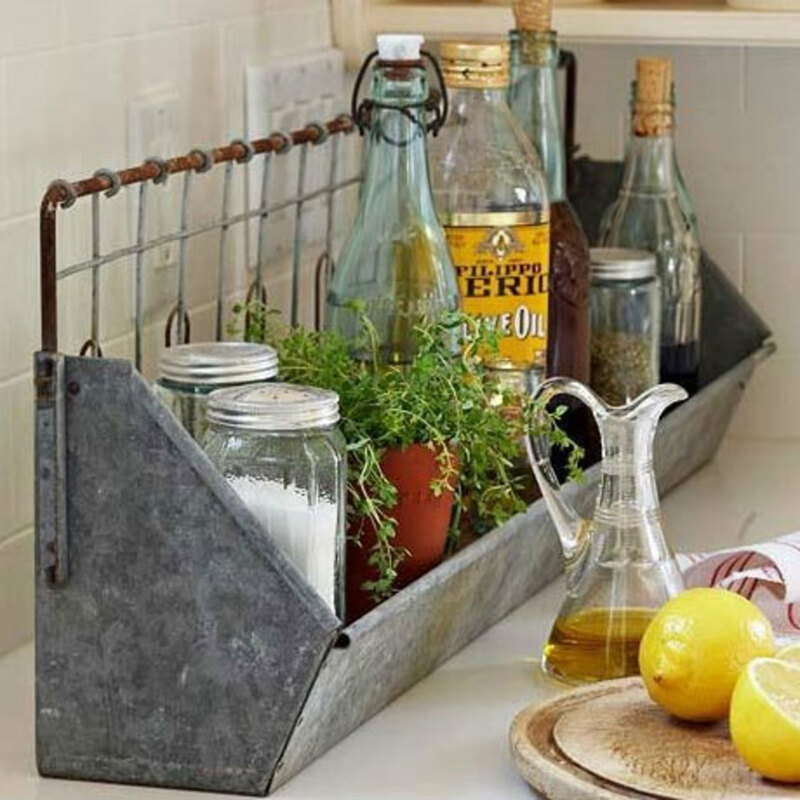 Check out these awesome and innovative storage solutions. 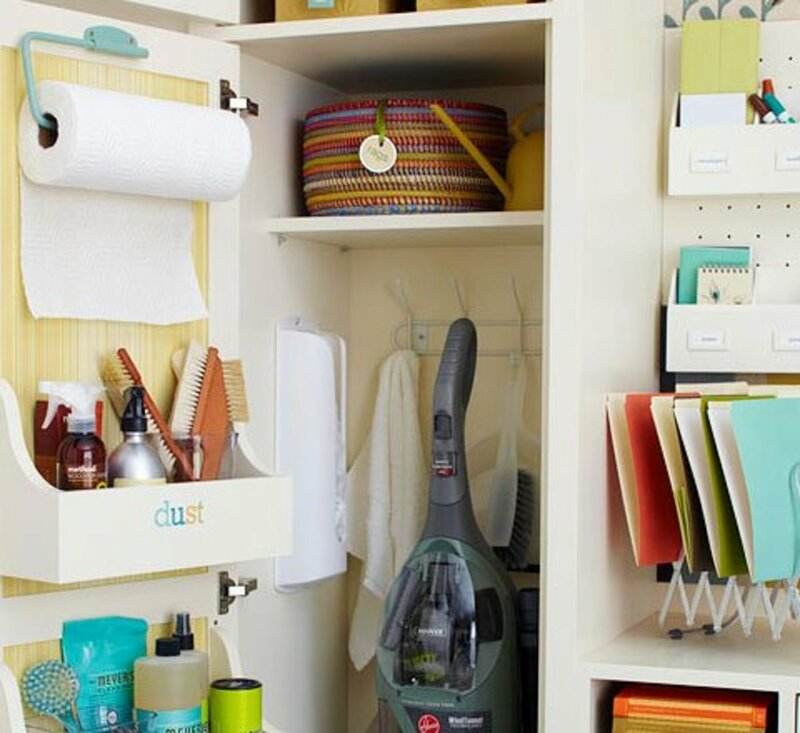 Check out easy storage ideas for small spaces for all tutorials and instructions. 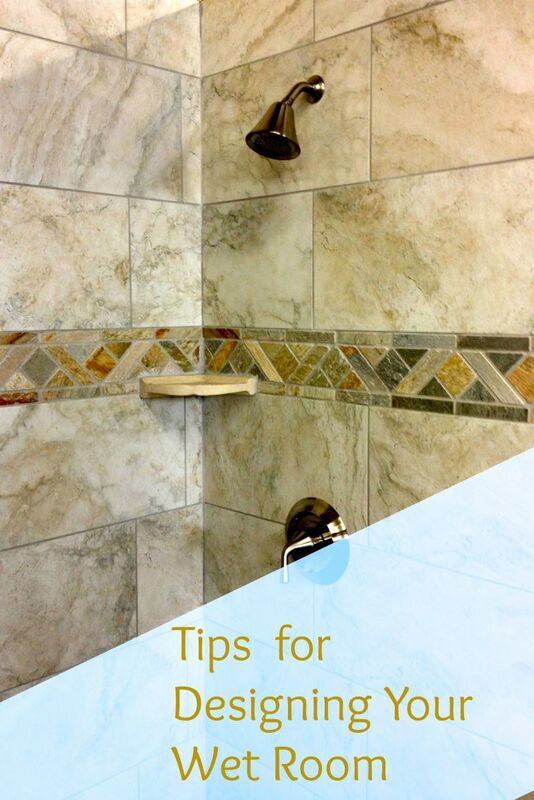 Here's an awesome way to store tension rods under your sink - and keep everything super organized. No drilling required and really cheap, get your cupboards organized today! 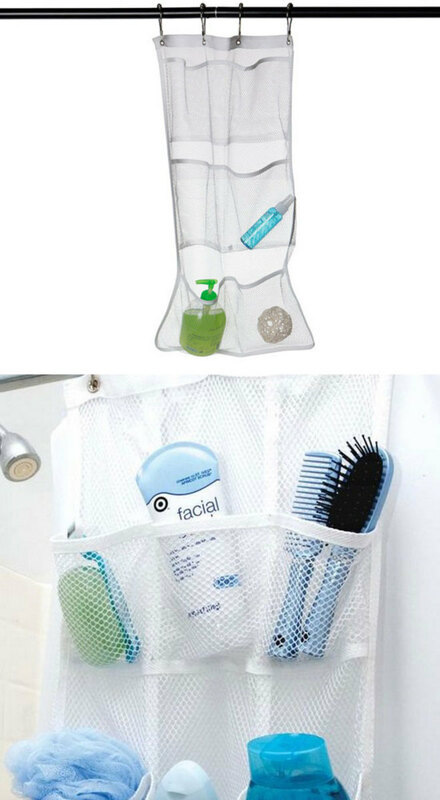 Shower pocket organizers are a great way to keep all your shower essentials neatly organized and within easy reach during your shower. Better still the mesh material is really quick drying so it wont get moldy and smelly. So no more knocking things over in the morning and scrambling round for shampoo and razors - it's all there nicely, neatly organized! Yay! 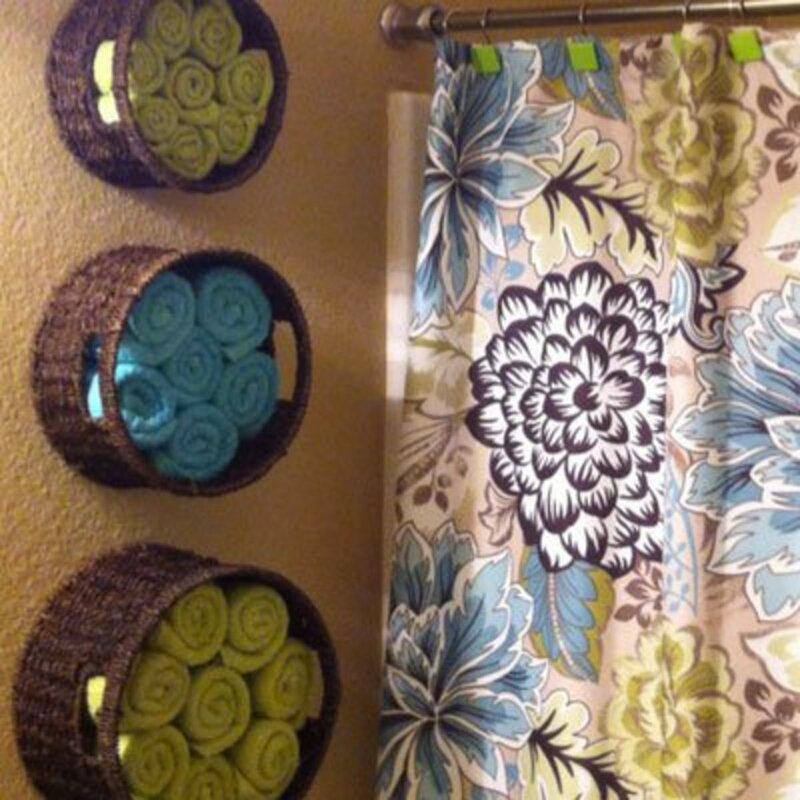 2) Towel Baskets: Really great way to keep your towels compactly stored, aired and still within easy access. You can easily get baskets at your local charity store - and simply nail to the wall through the weave of the basket. 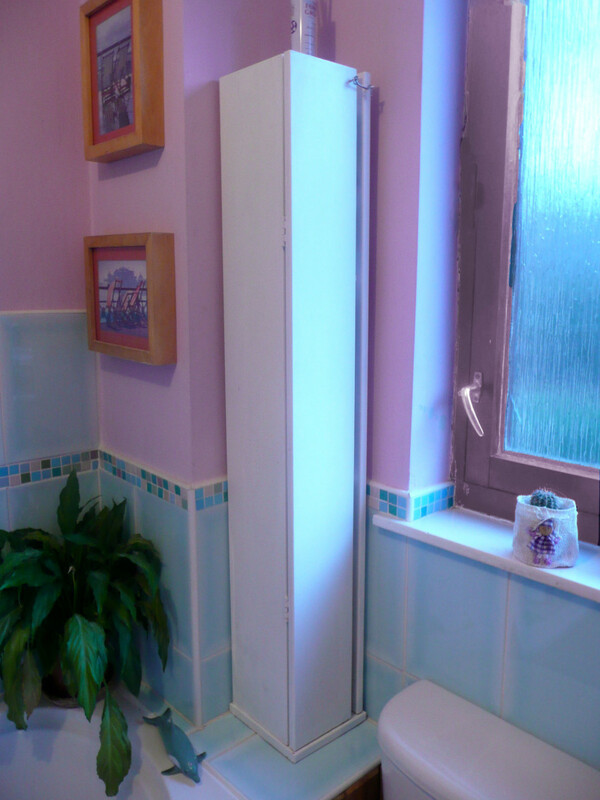 3) Bathroom Window Storage: Brilliant way to utilize a narrow wall - can be completed within a couple of hours. 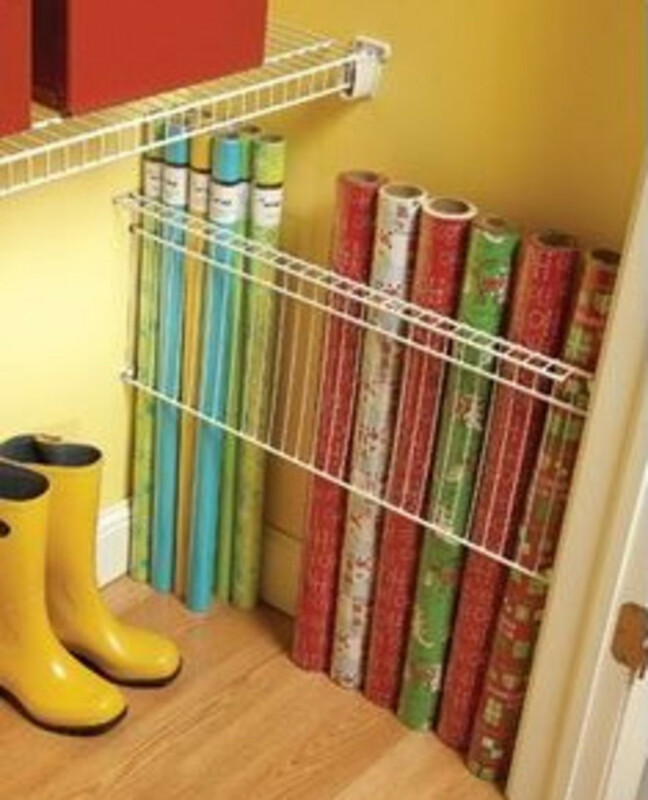 4) Wrapping Paper Storage Ideal for the craft room, store wrapping paper with wire closet shelving turned sideways. 5) 5 Minute Shoe Storage with Tension Rods No drilling required! This is seriously one of the best hacks ever for getting instant shoe storage, and super awesome if you cant drill holes in your walls! 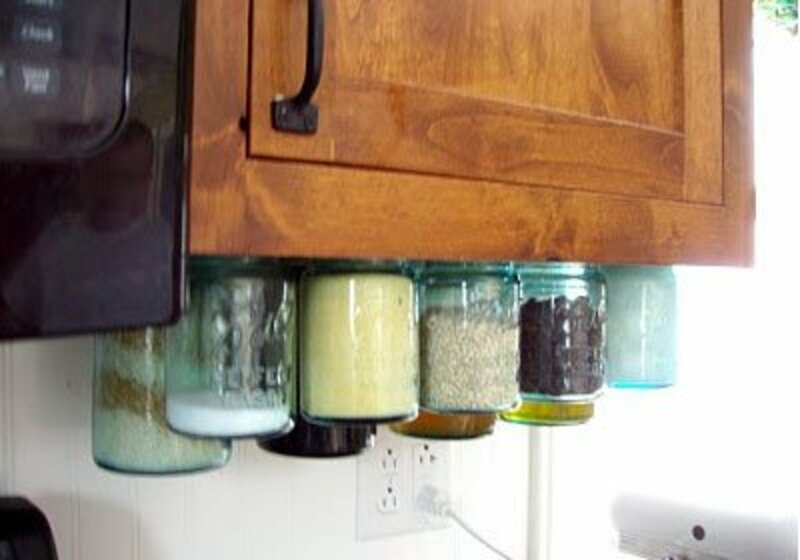 6) Kitchen Jar Organizers Screw canister lids to the bottom of cupboards for an instant jar tidy. 7) Cupboard Door Organizer Rack Make additional space by mounting labelled compartments to the inside of cabinet doors. 8) Secret Storage for Small Spaces A slide out rack, built from simple materials, is perfect for items such as spices and soups. 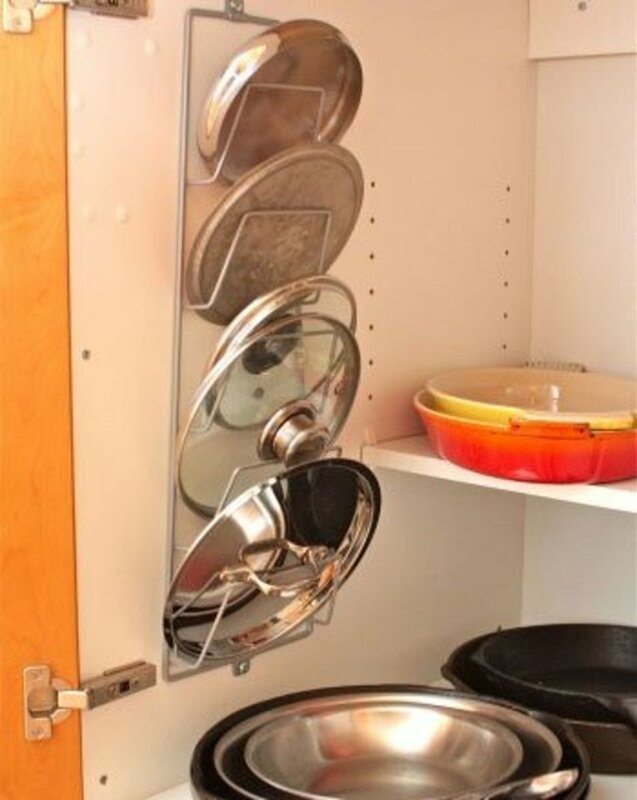 9) Pot Lid Rack Mount a magazine rack to the inside of cabinet doors for holding pot lids. 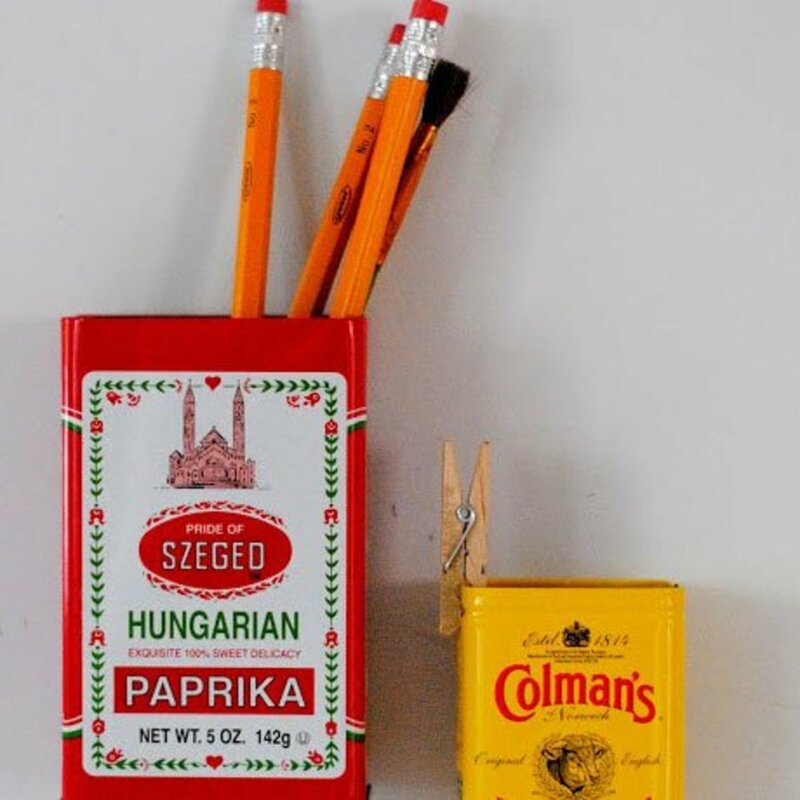 10) Fridge Magnet Storage Reuse funky containers by adding magnets and store items like pens and pencils on your fridge. 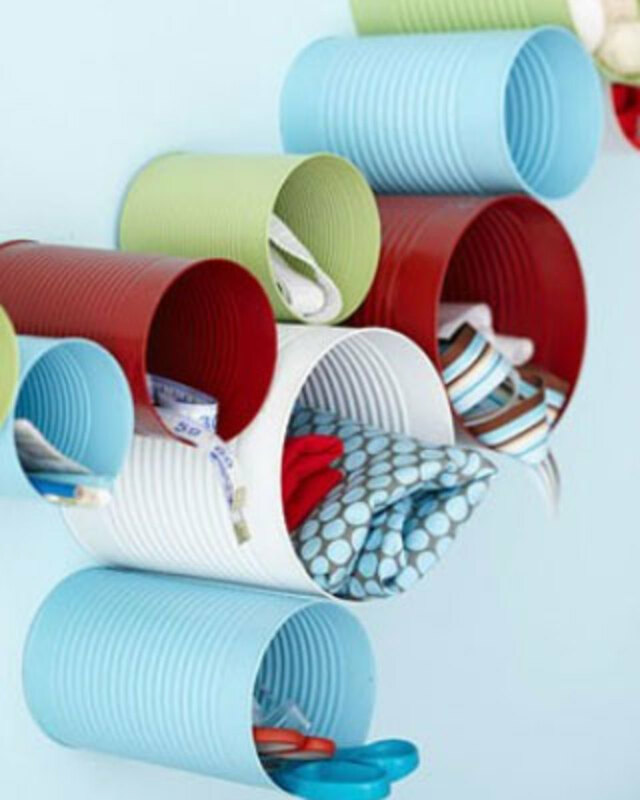 11) Tin Can Craft Storage Art supplies are safely stored in repurposed tin cans turned into a funky wall art organizer. Start saving those tins and get painting! 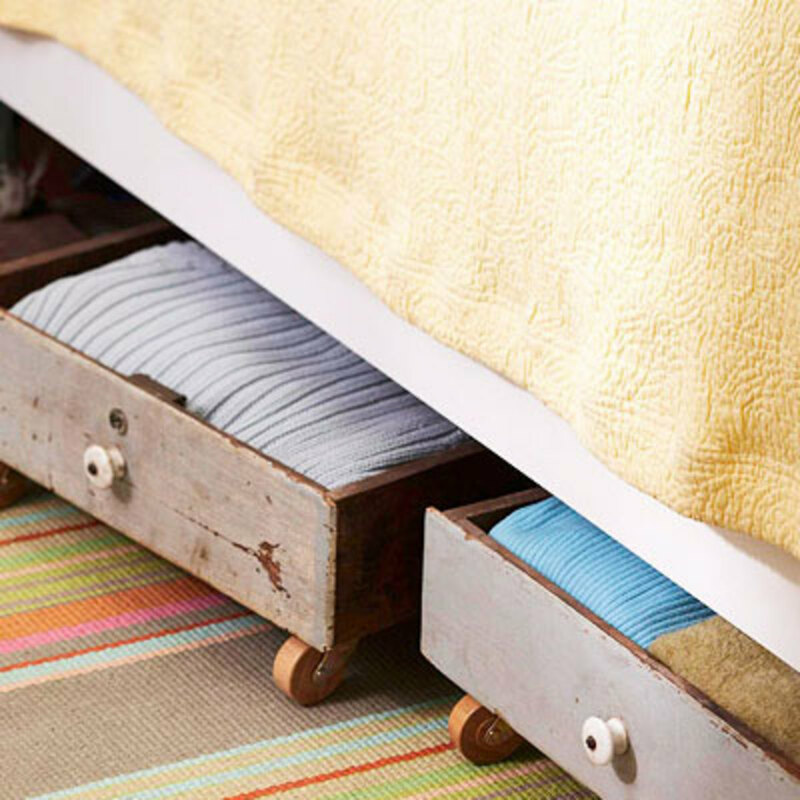 12) Hideaway Storage Under the bed is a perfect nook for keeping items tidy: simply attach casters to the bottoms of drawers for rolling storage. 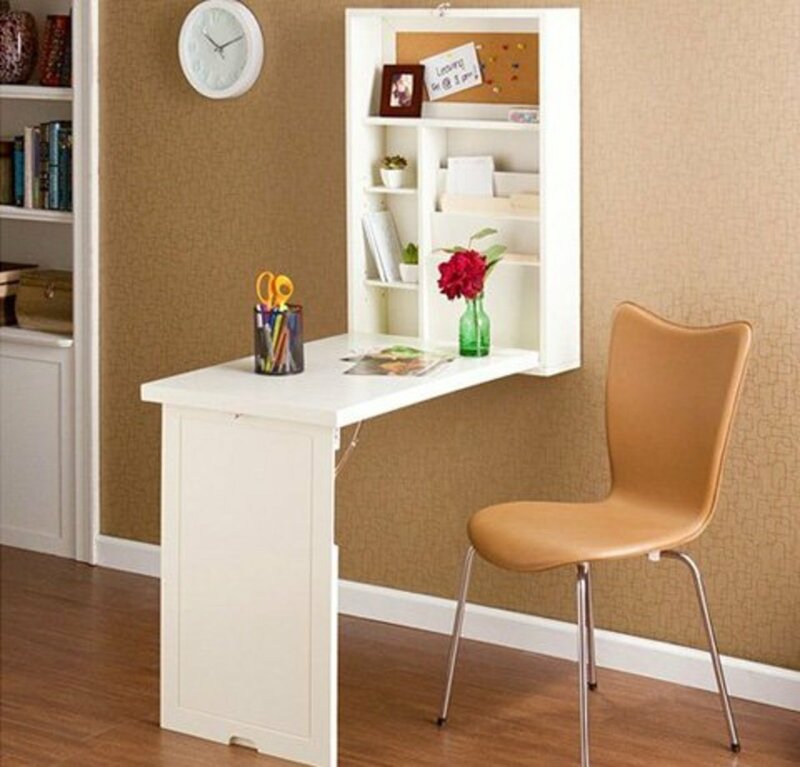 13) Foldout Desk Instantly create a home office with this foldout desk with a compact storage area on top, and a large writing area on the bottom. 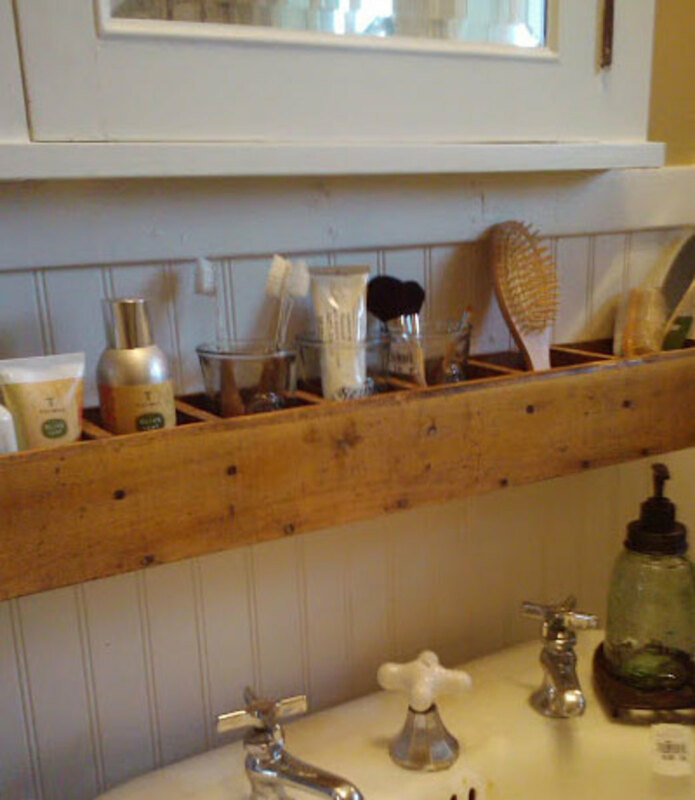 14) Pallet Wood Bathroom Storage Repurposed wood is a cost effective way to store toiletries in the bathroom. 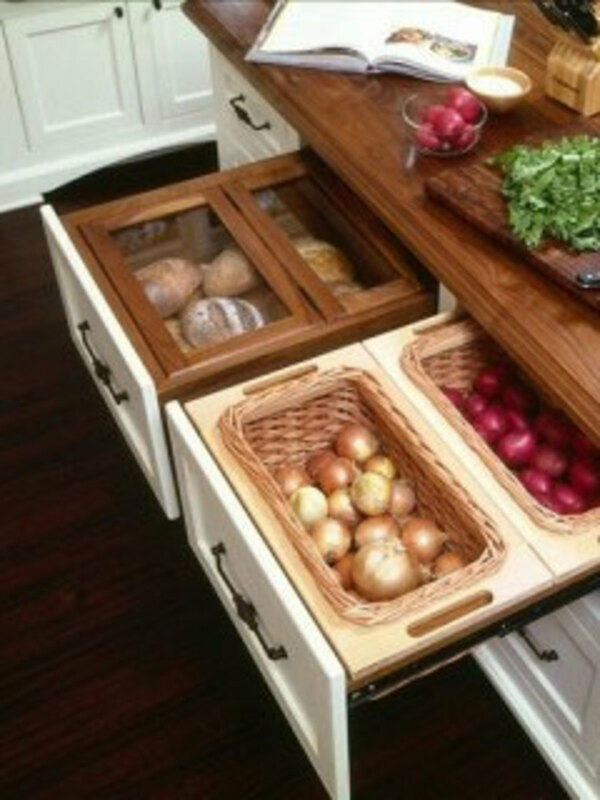 15) Space Saving Product Drawers Use baskets in drawers to separate your onions from your tomatoes. 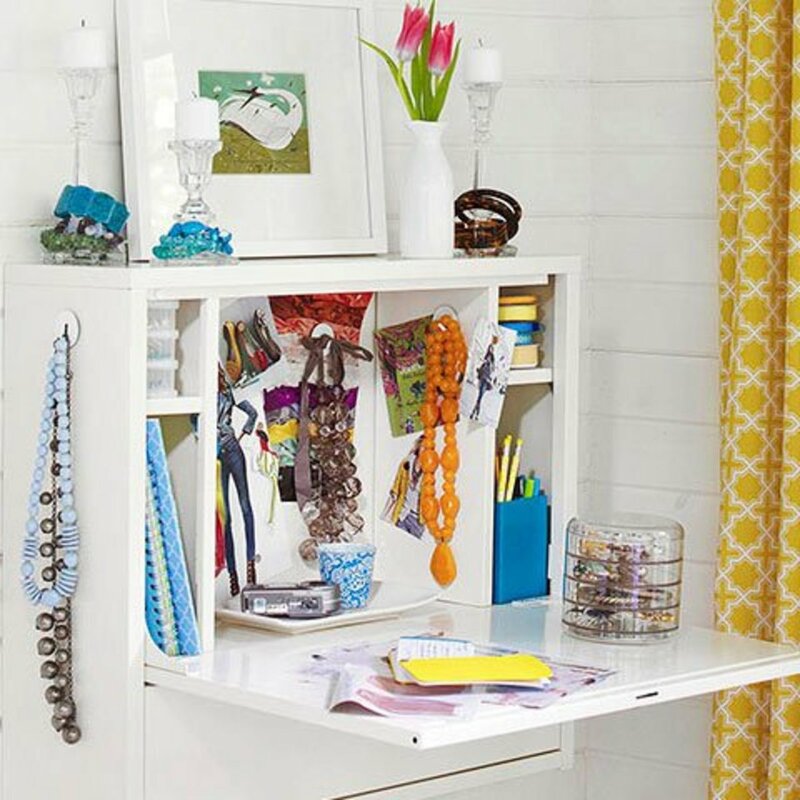 16) Wallmount Desk Jewelry Storage A wall-mount desk is a neat cache for jewelry and other such items. 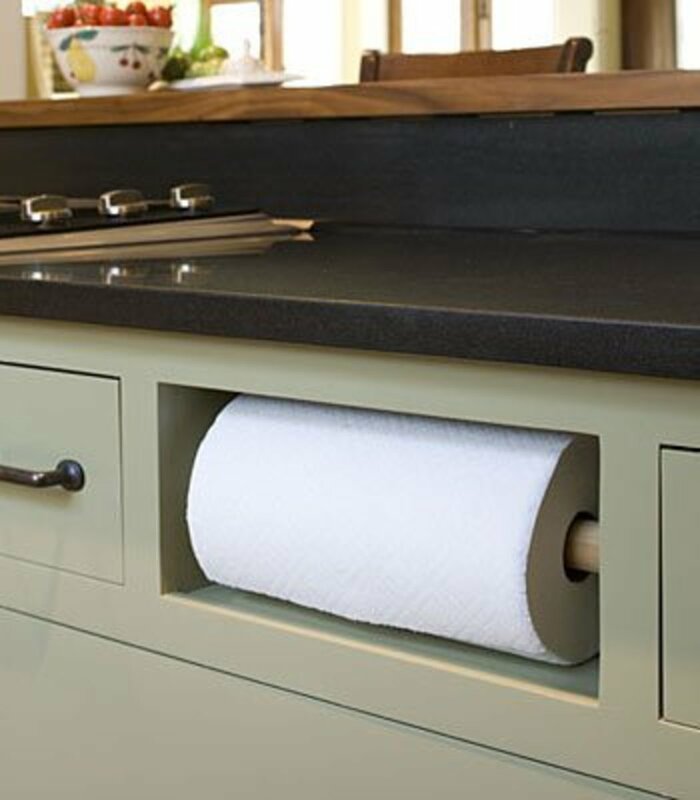 17) Secret Drawer for Toilet Roll Use a hidden compartment to stash unsightly toilet rolls. 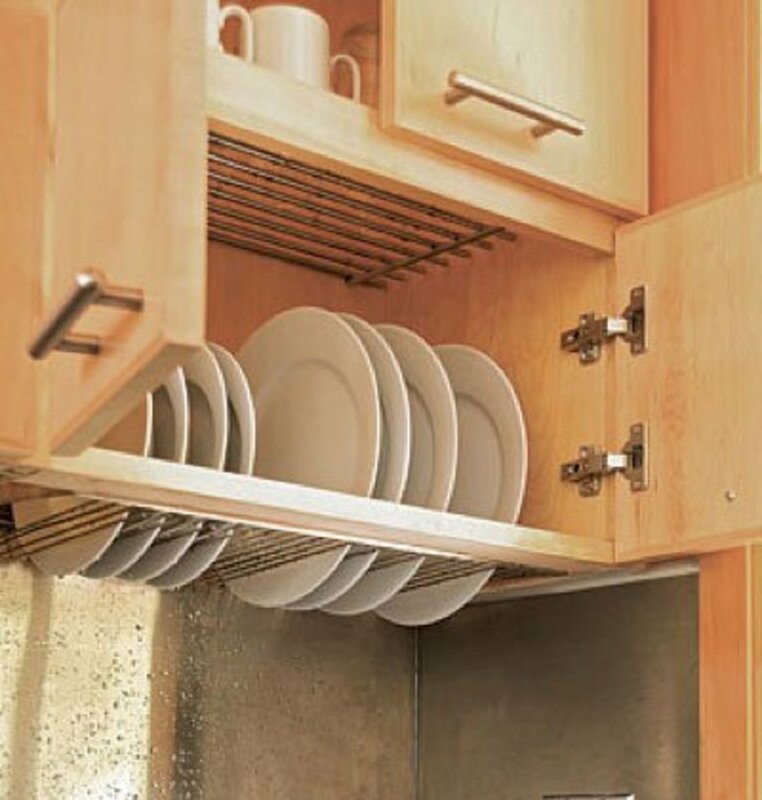 18) Dish Rack Drainer No need to move the dishes after they air dry with this dish rack built into a cupboard. 19) Chicken Feeder Storage for Oil and Vinegar Upcycle old items for new awesome storage solutions. 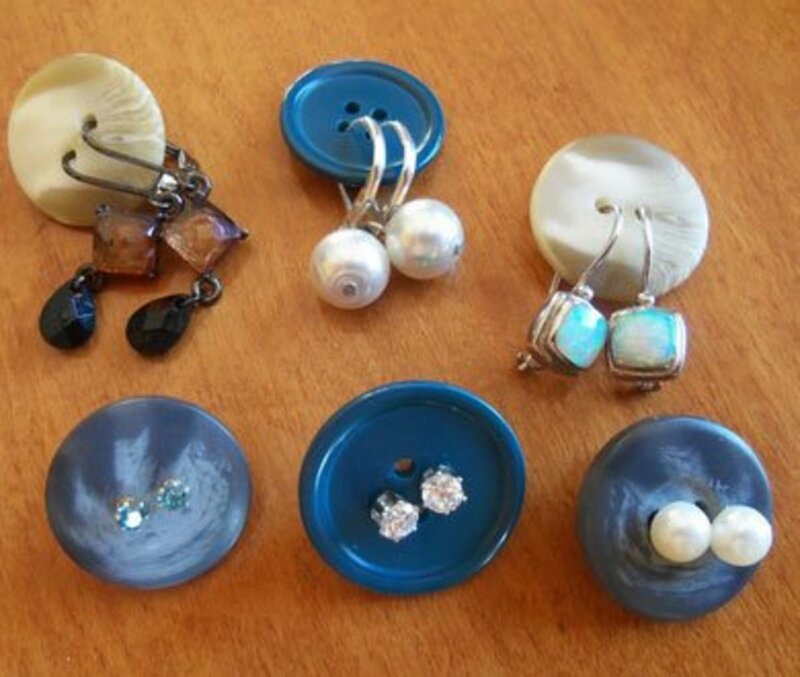 20) Button Organizers for Earrings Attach your earrings to buttons to keep them together. 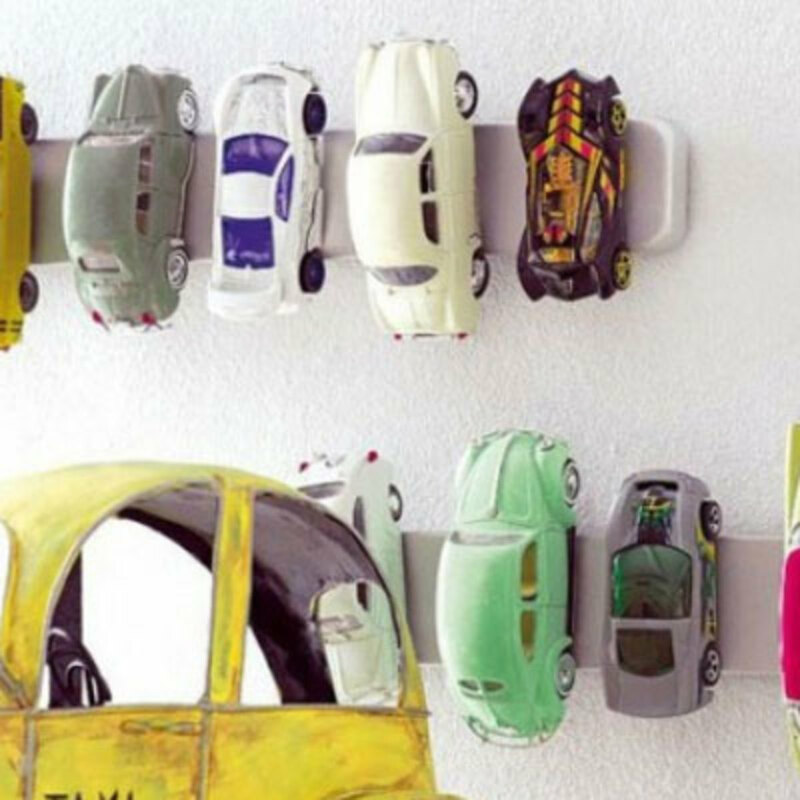 21) Magnetic Wall Strips for Toy Cars Magnetic wall storage for cars is perfect for boys bedrooms and also handy to store knives in the kitchen. 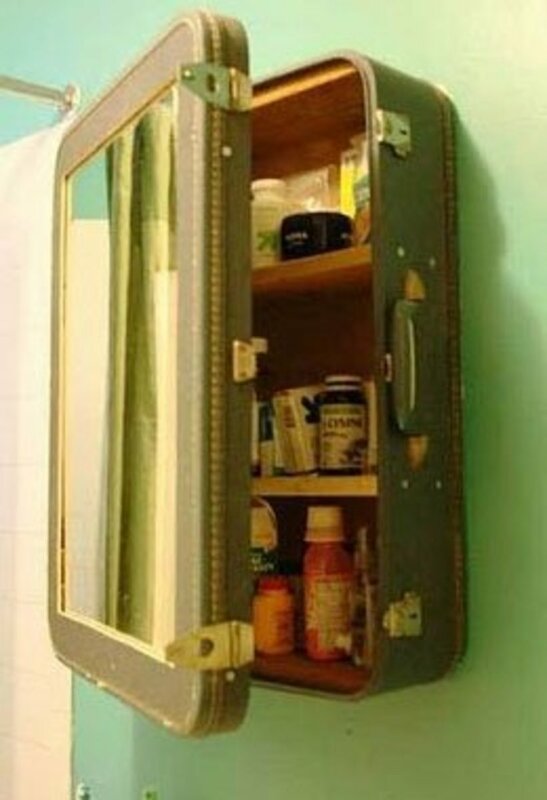 22) Medicine Cabinet Vintage suitcases are an adorable way to house medicines in the bathroom. 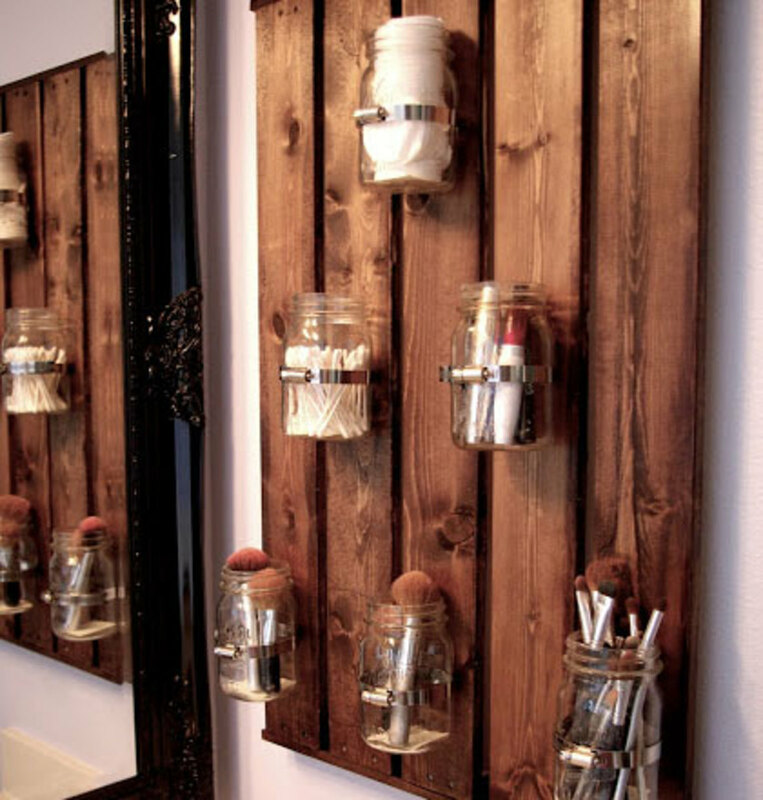 23) Mason Jar Bathroom Storage Hang mason jars on an old pallet to hold everything from cotton swabs to nail polishes. 24) Pivot Wardrobe Storage A rotating wardrobe is ideal for ease and speed of finding objects. 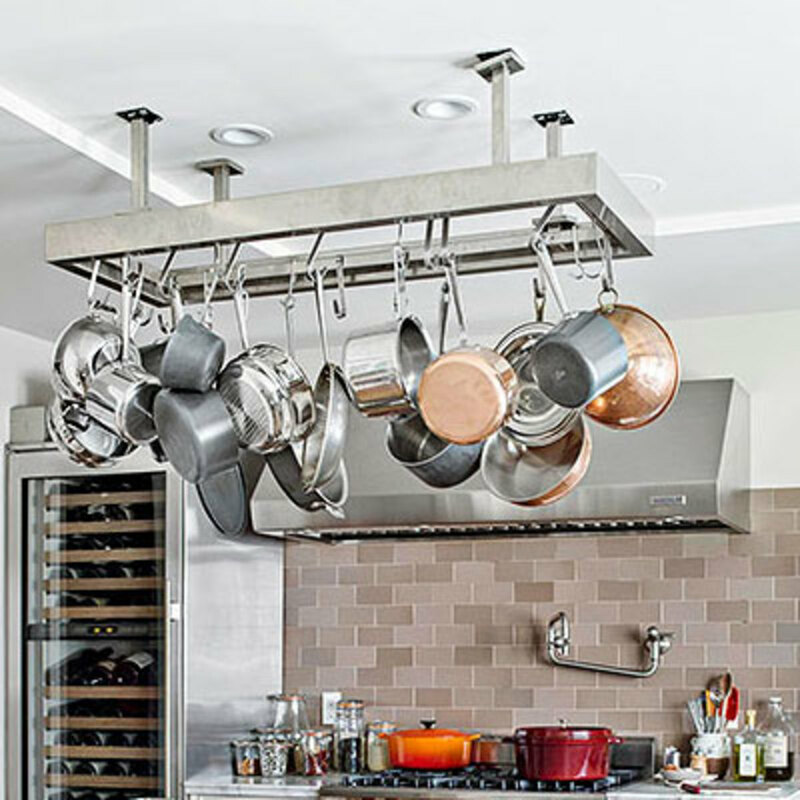 25) Pot Rack Hang hooks on a metal frame to keep your pots in one place. 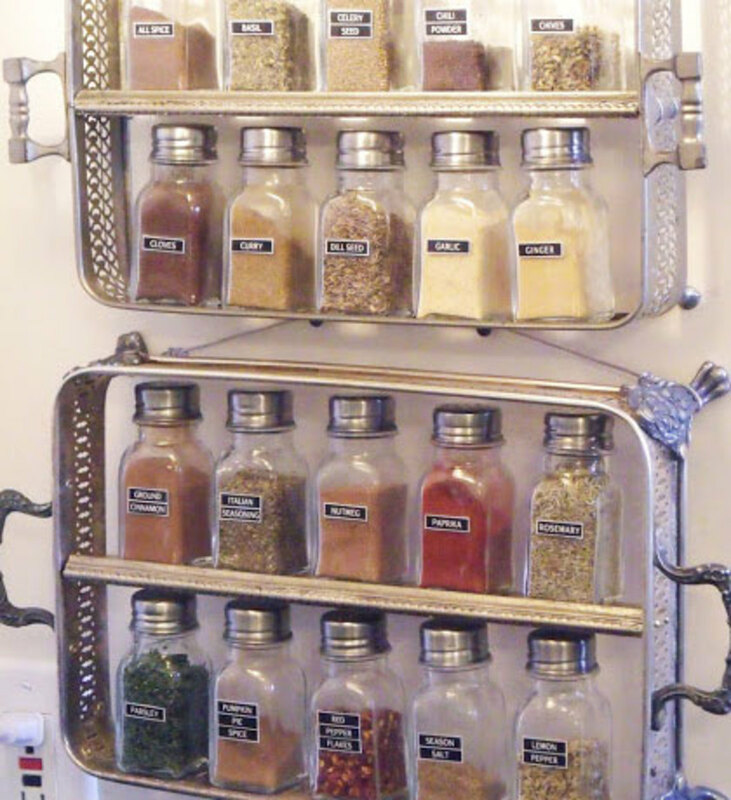 26) Silver Spice Rack Get an old silver plated server from the Thrift store, cut a piece of wood to fit inside it and voilà. 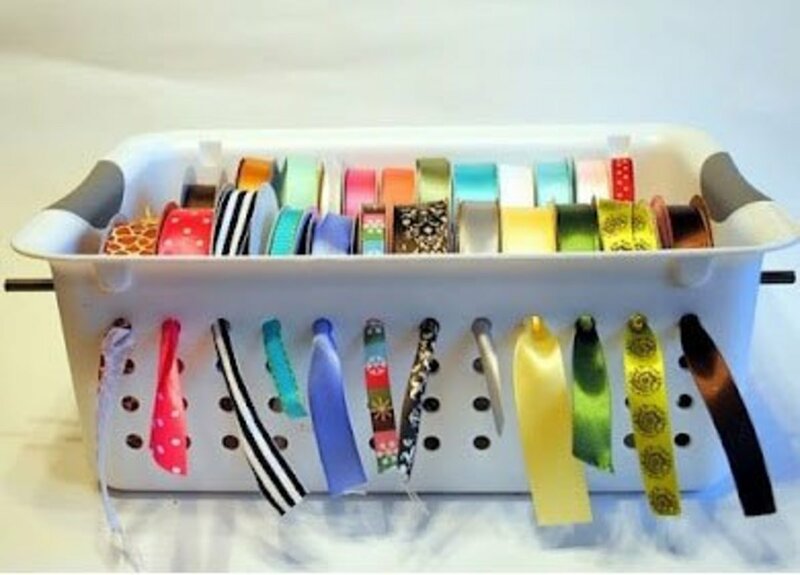 27) Laundry Basket Craft Storage Sort ribbons by poking through the holes in a basket. Help your friends to de-clutter by sharing this page and check out the link for more helpful tips. 28) DIY Shoebox Charging Station: Learn how to upcycle an old shoebox into an amazing Charging Station in about 30 minutes! All you need for this , is a shoe box, nice paper and some rivets. It's a great way to get your messy cables looking tidy and keep chargers in the one place. Oh my goodness, so smart. There are a few I'm going to try. 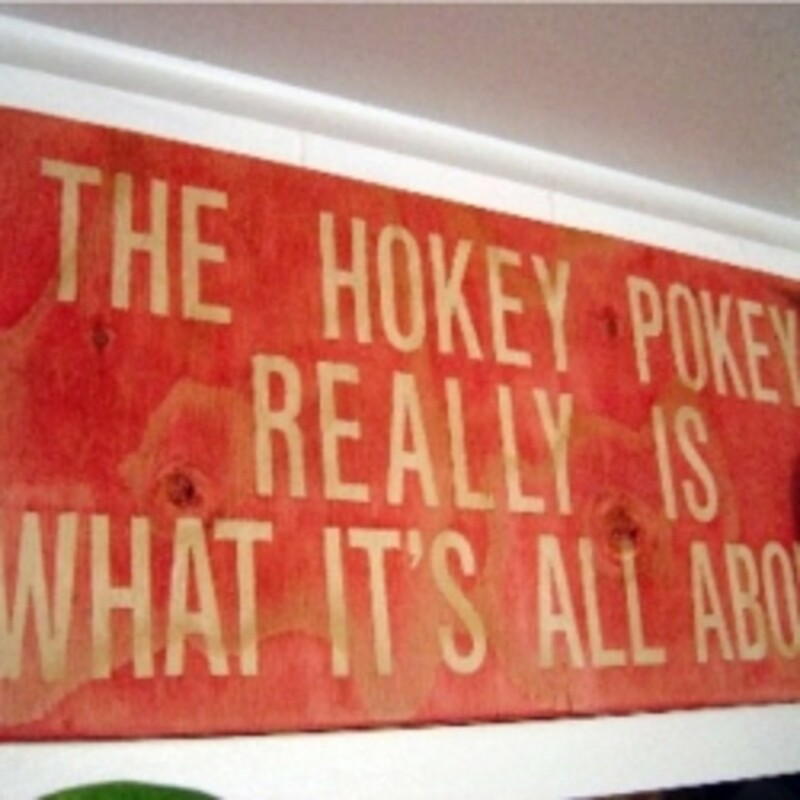 Especially the tin cans on the wall. Thank you for the inspiration. Amazing ideas. I can't wait to try a few. Awesome, Its great regarding the baskets ideas! Love it!! Great ideas, thx for sharing. I'm going to follow you. Those are great ideas and solutions! Before we moved West we lived in apartments in New York and storage ideas are always valuable! ¡Qué interesante! Voy a utilizar algunas ideas para mi oficina compartida en Barcelona. So interesting! I will use some of your tips for my shared office in Barcelona. I like the shower storage curtain. I could do with one of them. I live in a small place, so a lot of these storage solutions would be ideal for me. 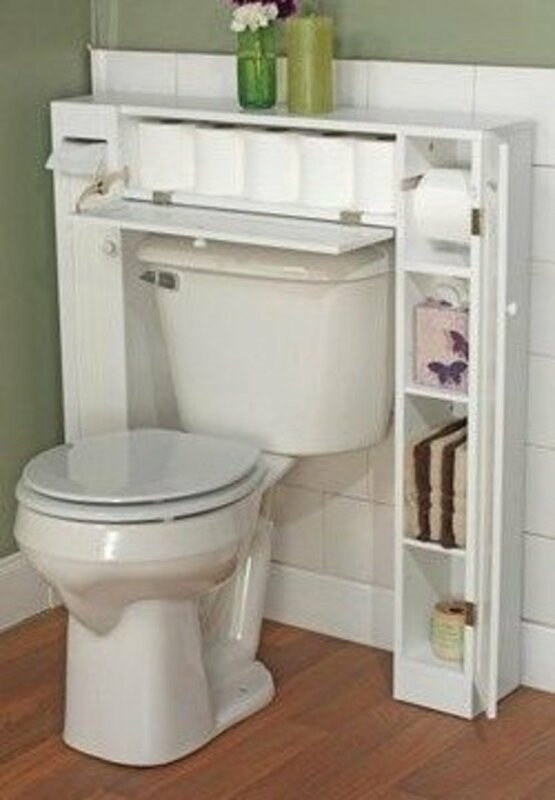 Does anybody know if the "cabinet" around the toilet was purchased (if so where) or built at home? Wow! This page is going to be my best friend. I especially like the under sink tension bars for cleaning products and the wrapping paper solution with the closet rack. Right now I have wrapping paper crammed on top of a closet, and it always rolls off onto the floor or my head! thanks, great and helpfull ideas :) Great hub ! Great and Ingenious Ideas! There are quite a few I will be using in a 533 square foot apartment. The complex calls the apartment "cozy;" I said, just say "small or tight!" We laughed! Thank You for these ideas! One can never have enough storage or organizational space. Thanks Shirl and Melange ! super cute, love the baskets ideas! Thanks for this great hub! I've seen many of these ideas, but not the shower pocket holder, I am going to look for one, it looks like it might solve some problems in the kids' bathroom. how do I make the pallet bathroom storage? I like the around the toilet shelves but can't find out how it's made!!! 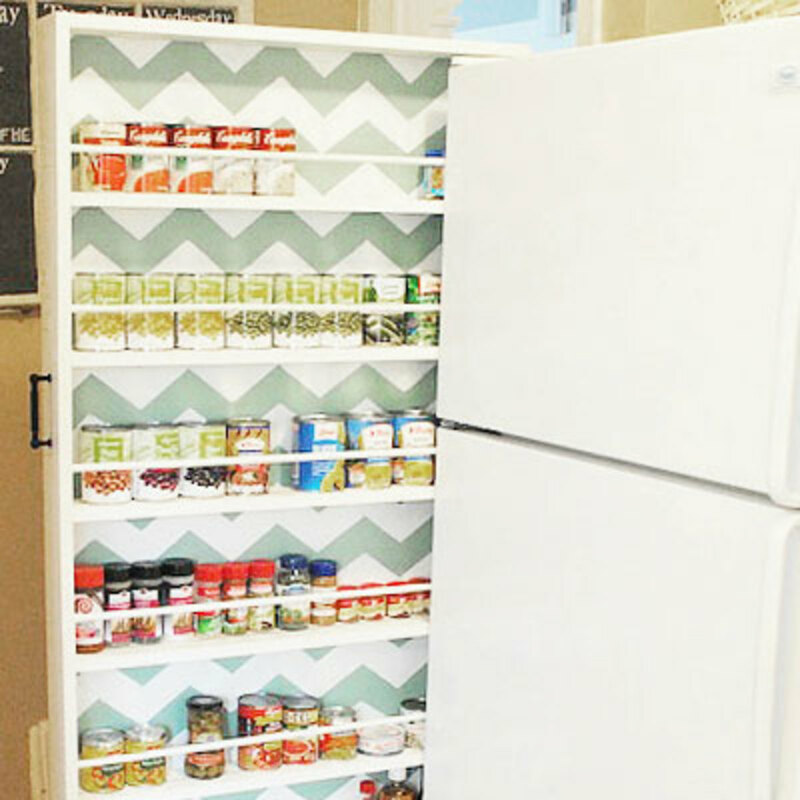 I'm new to HubPages, but I have to say these are brilliant ideas for storage. I can see myself utilizing these in my own home :) Great article. Where O Where did you buy the item for over the toilet? I want one! Hi, thank you for the lovely ideas. 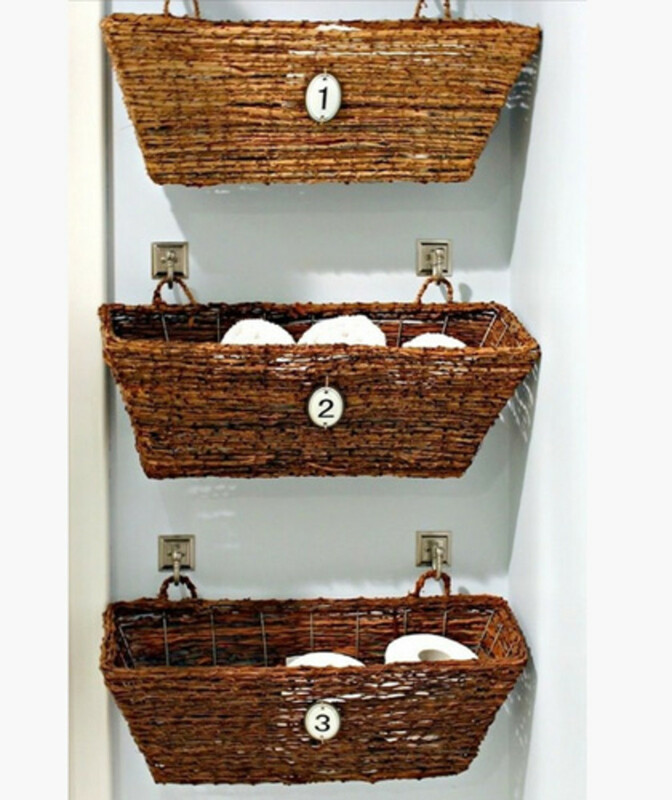 How do you attach the baskets on the walls to hold towels? Is it screwed in the wall? How do you attach the shelving to the wall for the wrapping paper holder? 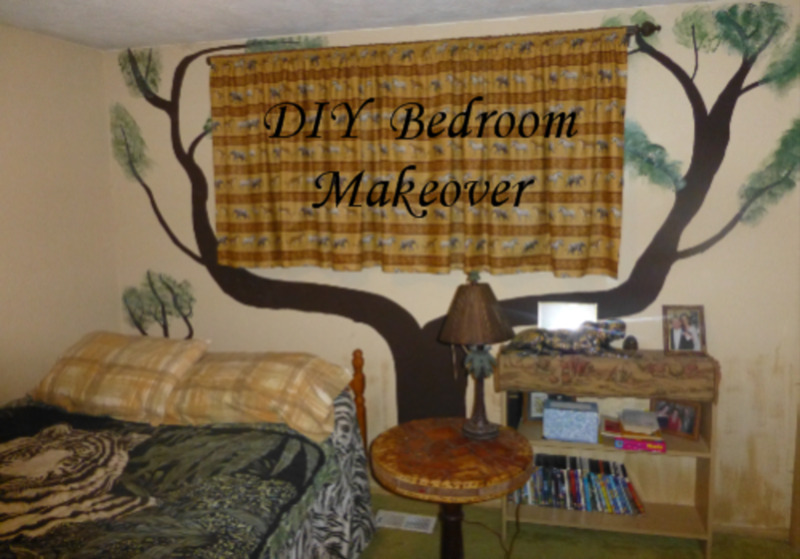 Great ideas that I can put to use in our smaller home! Where can I get the cabinet around the toilet? Where can I find the fold out desk? It is important to store wine in a room that has a cool temperature to make sure it tastes better. They are perfect candidates for hanging storage organization. Can you tell me where the shower curtain is from? Thanks for so many great tips! I love the wrapping paper idea. I make such a mess of the rolls in my closet. Thanks for the tips! Some excellent ideas there. Great hub! 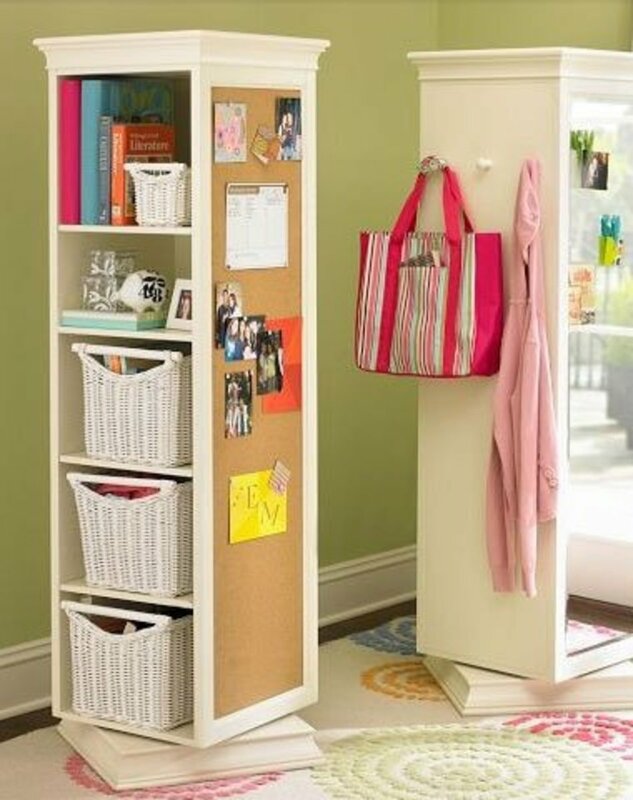 These are really savvy ideas, I really need to do a few of these to make more space in my room. 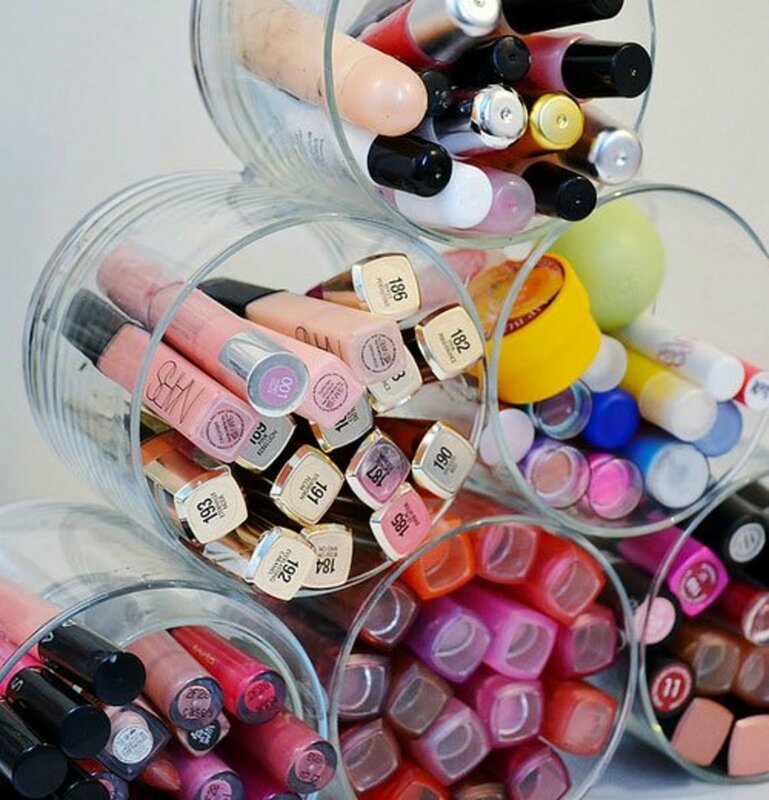 What clever storage ideas. Almost anyone would find something they could use in this article! So creative. These ideas are all fabulous, I can't wait to try them all! People are downsizing in order to be free of so much stuff, but having the stuff we have organized in appropriate storage is so important. These are some good ideas. Wow that's an awesome thing for you to do for your wife , I know I have about 1 million pairs of shoes. Thanks for stopping by ! I really like ideas 4, 7, 11, and 24. I have used hooks (like the ones holding the baskets on idea #2) to make a set of racks for my wife to hang up her shoes. Great ideas. Would the same ideas would apply to an apartment, too? The only storage space I have is closets. Thank smithy and Nicolas ray. That home sounds very interesting, best of luck with it ! Nice ideas...working on a very interesting Victorian home for a client and some of these ideas are perfect. Thanks. Thanks for visiting Risa, you have great taste! Love these ideas! My favorite is the chicken feeder!